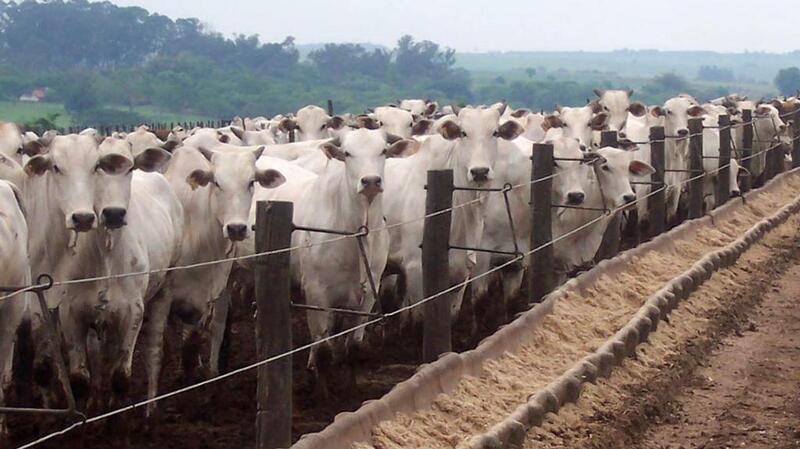 Political turmoil, pressures from non-meat protein and the rotten meat scandal have weighed heavily on the Brazilian beef sector in 2017 and there will be further challenges afoot for the world’s largest commercial herd. In an exclusive interview with Farmers Guardian, Ian Hill, chief executive of one of the country’s most successful enterprises Agropecuaria Jacarezinho, said the sector was failing to see the productivity improvements of other sectors such as soybean and sugar cane. With external factors adding another layer of pressure to the beef industry – predominantly made up of Nelore (Bos Indicus) cattle – some may be forced to sell up or switch to crop production. “As the cattle business becomes more competitive those who are at a disadvantage will automatically sell or rent their farms for agriculture [crops] as we have seen during the last wave of agricultural development,” said Mr Hill. With increasing pressure on land use and stringent environmental obligations on the country’s farms, producers would be forced to seek gains offered by genetics, but Mr Hill doubted this route would be taken up across the board. “Ground beef is a major destination for much of the beef and in greater proportion for low quality animals,” he added. “Stem cell beef and other forms of artificial meat grown in laboratories is now becoming a reality. It has a lighter footprint and will soon be used more in major lines of hamburgers either in its entirety or mixed. Mr Hill said scandals involving the country’s politicians and processing sector had added to the strain on prices. “It has been an exceptionally turbulent year for the world’s largest commercial herd,” he added. “First there were the sanitary scandals at the beginning of the year putting all the export trade (20 per cent of the total production) at risk, and this was followed by the JBS scandal where the owners of the world’s largest protein processors taped their conversations about paybacks from Brazilian banks and bribery involving politicians and senior members of the judiciary. "This led to their imprisonment and partial collapse of their empire here in Brazil. But how was this likely to affect producers in the long-term? Mr Hill added: “Perhaps Brazilian cattle farmers will learn from this and understand that they are producers of commodities where margins are small so need to concentrate on improving productivity and dilute costs.